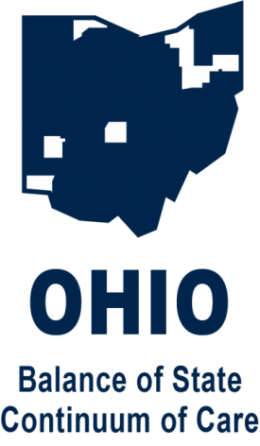 Landlord-Tenant Law This interactive institute will offer on general information on Ohio’s Landlord Tenant Law in order to help providers and consumers understand, prevent, and resolve problems that may arise in the landlord-tenant relationship. Subjects include: rental agreements, repairs, the rights and responsibilities of landlords and tenants, security deposits, evictions and more. Program Evaluation and Accountability Measuring outcomes is not just about attracting funding or meeting requirements; it’s about fidelity to an organization’s mission. During this full-day interactive session, providers will learn how to determine if their efforts are truly helping individuals, solving problems in the community, and making meaningful impact on the population they serve. Applying Conflict Resolution to the Homeless System Staff working in the homeless system face frequent conflict due to stressful work environments and new crises that arise each day. This training equips attendees with skills for resolving conflicts. Gain a better understanding of how conflict impacts our lives, identify personal conflict styles, learn active listening and de-escalation skills, and look at practical applications in real-life scenarios. Utilizing Supported Employment As formidable as the barriers to employment may seem for populations experiencing homelessness, there is an evidence-based practice that has been successful for programs that serve people who are chronically homeless, and other resources in the state are available to help, as well. In this comprehensive institute, attendees will learn how to access already available employment and benefit planning services, first steps for implementing the evidence-based practice, how to build relationships with employers, how to assist job seekers with legal histories, how to help homeless youth start careers, and how to support people in education and vocational training programs.